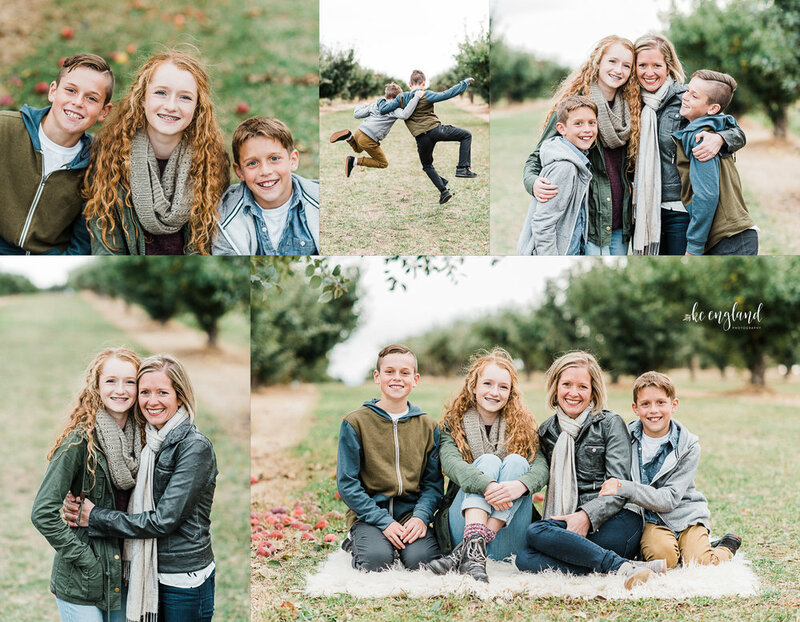 My September Mini Sessions went so well at White Gables Orchard on Greenbluff, that I decided to go right back to the same location for the October Mini Sessions! Again, a huge thank you to the owners for so graciously sharing your orchard with me and my clients. It was a chilly day, but thankfully it did not rain. I love seeing all these beautiful families year after year! So much strength, love, and courage in these images....I have been praying for this family this past year and it was such a gift to photograph their beautiful smiles again. Thank you McGinnity Family! These little cuties know how to accessorize! Pearls, scarves, and JoJo bows for the win! Another fabulous session for the Naslund Family! It took all of 2 seconds for Kendall and Kyler to warm up to me and then it was all smiles! Such a fabulous session with the Ross family! They love to travel, watch movies, and are always on the hunt for good Mexican food! Me too, Jess and John! Me too!